No matter what part of your life you’re trying to improve, there’s an app for it. Because being financially and physically fit are both extremely important to me, I’ve been able to find some great apps that help me stay on track. 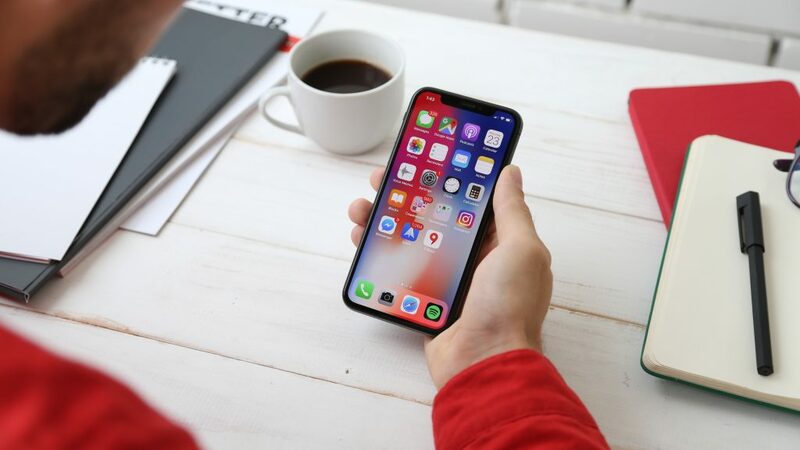 If you’re interested in bettering your life, these tracking apps will help you stay on top of your finances and health. There are thousands of finance apps out there, but not every app may be right for what you need. Below are some of the best finance apps I have downloaded on my phone. With my credit struggle in recent years, I’m constantly checking my score. Credit Karma allows me to do that with no fee and they update your score once a week. This app is really great if you are paying off debt or want to improve your overall credit score. Mint is a great budgeting app that sends you regular reminders about bills. The app also sends recommendations to save more money. For instance, if you are paying ATM fees, the app will send you a notification about it. The same can be said if you can save more on credit card interest rates and other loan repayments. If you’re interested in investing but don’t feel you have the money, check out Acorns! This app will help you invest your spare change. Similar to Bank of America and Wells Fargo programs “Keep the Change,” Acorns will invest your spare change into a wide variety of stocks, mutual funds, and real estate. It is a “mindless” saving technique that will help increase your savings over time. You Need a Budget is another free budgeting app that helps people track their expenses and trim their budget, when possible. It is recommended by personal finance icons like Dave Ramsey. If you need a good way to track your finances, check this app out. Venmo is relatively new but it is great if you are social. For me, Venmo has allowed me to send friends money at the drop of a hat and has come in handy when splitting the bill or reimbursing cash for a ride. If you need to be able to send cash back-and-forth, Venmo is awesome. If you’ve followed Budget and the Bees for a while, you know that fitness is just as important as finance (to me). Each of the apps mentioned below I’ve used to lose more than 130 pounds. Lose It! is part of my daily routine. This app will help you track food, exercise, and water intake. It can also help you save money. Lose It! provides daily recipes that are budget-friendly and can help you save over time. Google Fit comes free on most Andriod phones. This app will count your steps automatically and it can also help you track food and other exercises. C25K (Couch to 5K) is a free app that helps you go from being a couch potato to running a 5K in a matter of weeks. Each day C25K has an interval-based workout ready for you and will prompt you when to start running and when to slow down. If your ultimate goal is to be a 5K runner, check this app out. Charity Miles is one of my personal favorites. You can sign up with the app and choose specific organizations you’d like to support. After that, choose which organizations you’d like to support and Charity Miles will track every mile and donate a certain amount to charity. If donating might motivate you to get moving, this is a great app to download. Bodyspace is a Bodybuilding.com app that helps individuals track their workouts and find workouts that fit their goals. I love this app because it has a good sense of community AND there are a plethora of free workouts available, depending on your fitness goals. These are 10 apps I personally downloaded to track my finances and fitness. Do you have any you’d add to the list? Let us know in the comments! Having Trouble With The Walmart Savings Catcher App?